For the Open School Day the internal Daily Practices of the students are shared. Over 1000 pieces of work are on display! 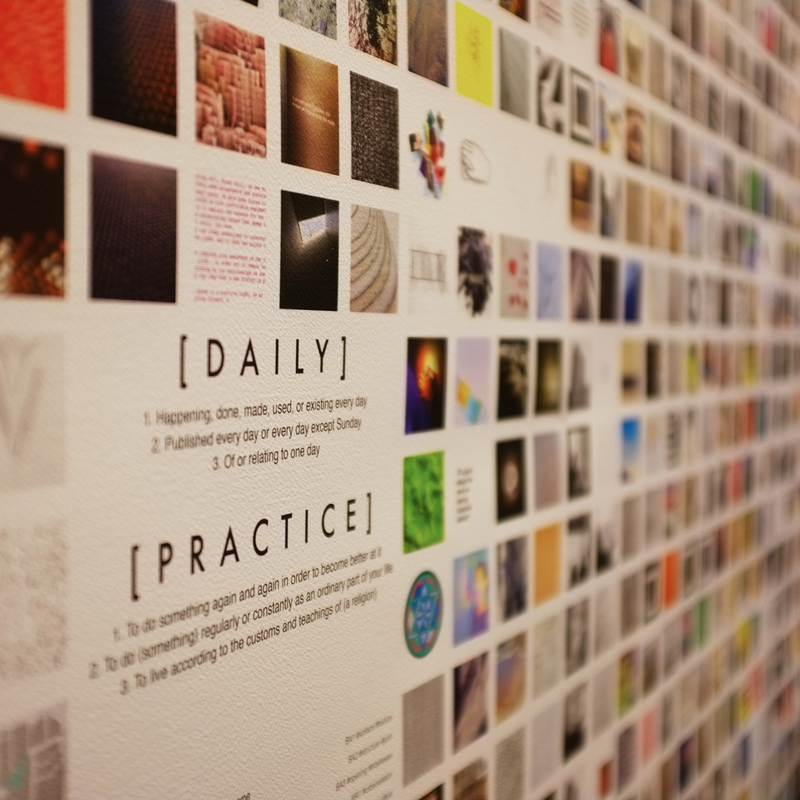 Daily Practice is a common practice-based research platform for all students. Each student conducts a piece of professional investigations on the given theme on a daily basis and shares them in communal forum. Each semester each student produces ca 100 studies for this extensive and on-goingly growing archive of discipline specify knowledge. The objective is twofold, on one hand to drill the professional design practices and the in-depth skills and on the other hand to fertilize our community's peer-to-peer learning. At the end of each semester, we put some the works on display.